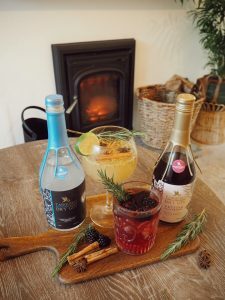 I’m not a big drinker but if you add something Cornish and autumn into the equation, I am all ears. My favourite thing about cocktail making is that there are no rules and absolutely no limits. 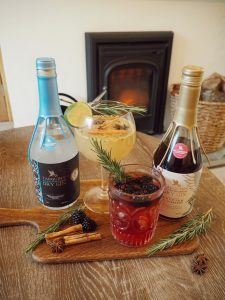 Add whatever you want to the mix, as much alcohol as you require and give it a good old stir and you could have made your new favourite drink. 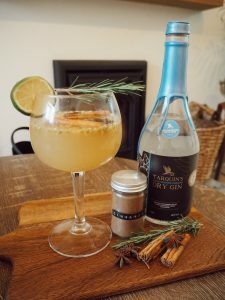 Cocktails are commonly linked to the warmer seasons adding fruity flavours and drunk in the garden but I wanted to try out creating some autumnal tipples leaving you feeling warm and cosy and to be drunk whether you’re under the blanket at home or in the pub with the fire burning. 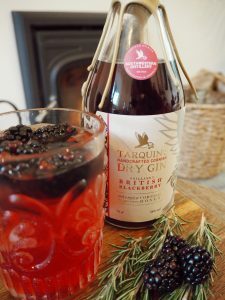 My main inspiration for creating some Autumnal cocktails was the Tarquins British Blackberry Gin with a hint of Honey. As soon as I spotted this I thought, that’s genius! 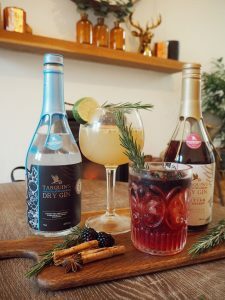 Thoughts of adding winter berries, cinnamon and ginger started flowing through my brain and a few Pinterest searches later, I’d thought up some recipes which I’m here to share! 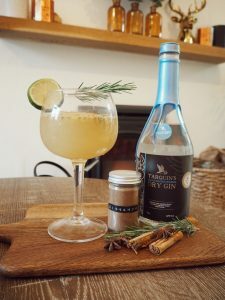 Nothing offers a warm feeling to the body like ginger and Tarquins original dry gin mixed with ginger cordial and garnished with cinnamon and star anise, there’s no denying it’s perfectly placed on a chilly evening with the fire roaring. I added the juice of one lime and passionfruit on top to compliment the spice flavours and it’s the perfect pairing. Add gin and cordial to a tall glass. Add as much cordial as required to dilute the alcohol. Squeeze in the juice of one lime. 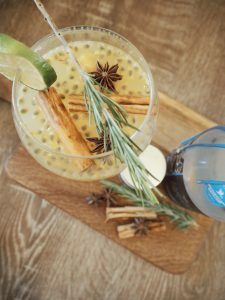 Add passionfruit on top and garnish with cinnamon and star anise. Stir to incorporate the spice. The gin really does the talking here and served over crushed ice, it’s a social drink. 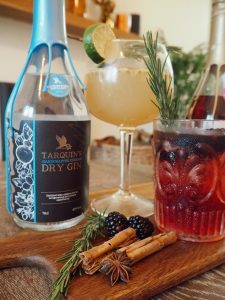 The blackberry gin is delicious and if you’re not a fan of gin or strong spirits, it’s a brilliant option. 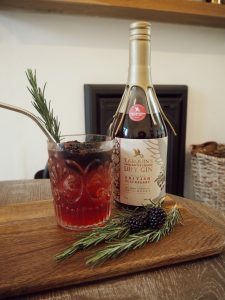 A squirt of honey added to bring out some sweetness and served with blackberries to garnish. Add a handful of crushed ice to a glass, pour over the gin, grenadine and squirt over the honey. Give it a stir to mix in the honey. 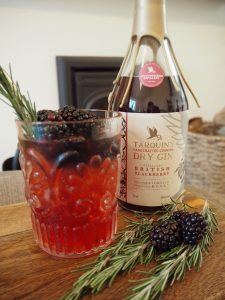 Add blackberries on top and rosemary to garnish. 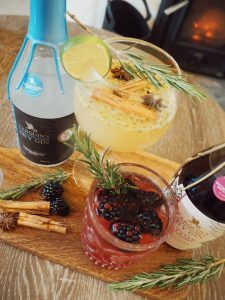 I hope you enjoyed my recipes for some autumn cocktails and inspired you to try out your own. 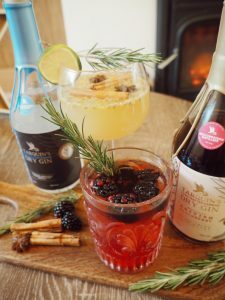 I’ll definitely be experimenting more this season with these flavoured gins and all the festive toppings I can find. There’s no reason why these can’t be made into cocktails too, just add juice! "Bali Guide; Wapa Di Ume Resort & Spa Review"